Whether you are an independent writer, or you are producing content for a corporation, you cannot afford to be creating mediocre, error-filled content. I would love to work with you to create content that you and your customers will love. Don't let your reputation be detrimentally affected by spelling mistakes and punctuation errors. Leave it to me and you can get on with your other tasks. As a member of The Society for Editors and Proofreaders (SfEP), I am passionate about helping people to express themselves in English as clearly and accurately as possible. With experience in proofreading on a freelance basis for a variety of businesses including Campbell's Estate Agents and Pamper Yourself Now Ltd., my service is fast, professional and offers great value for money. The Intrepid English approach to English lessons is extended to the proofreading service; each assignment is completed with the client's needs having paramount importance. Due to my passion for language and attention to detail, I can offer a truly bespoke service, returned within a time frame agreed by both parties, usually 24 hours depending on the size of the document. "Lorraine is the In-house Proofreader here at Campbells. She is responsible for proofreading the property information, articles, blog posts and website content to ensure potential buyers and tenants get a true feel for the properties on offer and get the latest information and up-to-date tips on the ever-changing property market. We approached Lorraine due to her professional and friendly reputation and she is the perfect extension to our close-knit team. We can rely on her to ensure that every text visible to our customers is clear, accurate and free from unnecessary jargon. I would highly recommend Intrepid English to anyone who is looking for a personal yet reliable proofreading service." 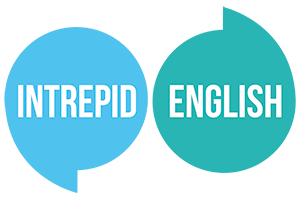 "I have employed Intrepid English’s proofreading services for several years and I have always been extremely happy with the quality of the work provided. Pamper Yourself Now Ltd boasts a large range of products from ladies scarves to kitchenware and everything in between. As an international company, I need to rely on a fast, high-quality service from someone I can telpehone and talk to if needed. As a busy professional, that service is invaluable to me and I recommend Intrepid English to anyone who is short on time and needs a personal, reliable proofreading service." Tracy Thornton Pamper Yourself Now Ltd.
For more information, or to arrange a time to discuss your proofreading needs, leave your details and I will contact you as soon as possible.